The present master of the Grand Princess is Captain John Harry Smith, who started his career at sea as a deck hand on an oil tanker. 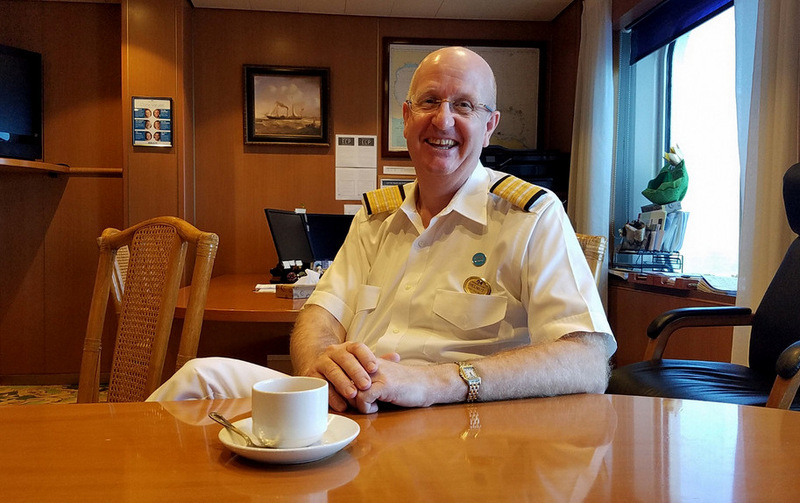 He worked his way up the ranks and has been with Princess Cruise Line since 2007. In our years as travel photojournalists we have interviewed many ship’s Masters. Captain Smith manifests the same professionalism and confidence that we have learned to expect from all the members of his highly trained and respected vocation. This coming month it will enter dry dock in Portland, Oregon for repairs, maintenance, improvements, and inspections. She will be worked over from stem to stern, top to bottom, inside and out, by 1,000 contractors from around the world. The work will be performed 24 hours a day, and the workers will live aboard the ship. 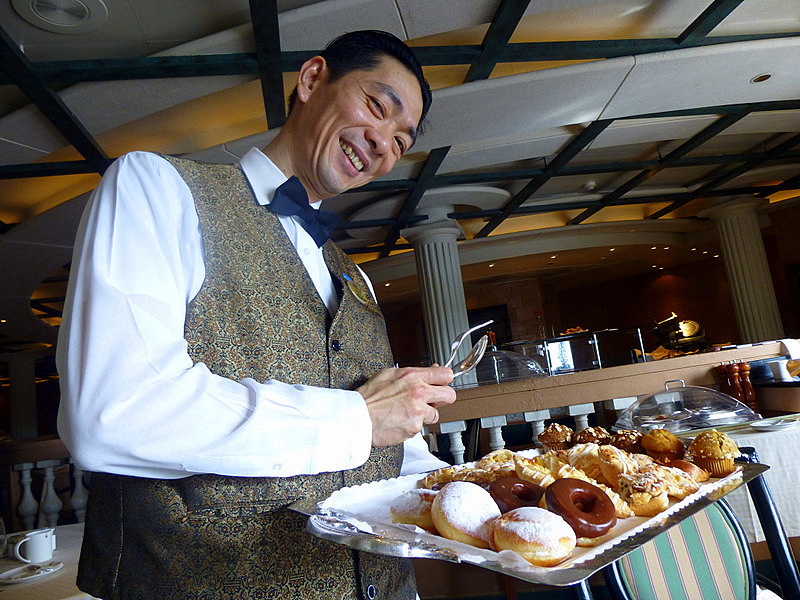 Service will be provided by the ship’s regular hospitality crew during the entire process. All the work and numerous inspections will take just 13 days. Now that’s precision planning! 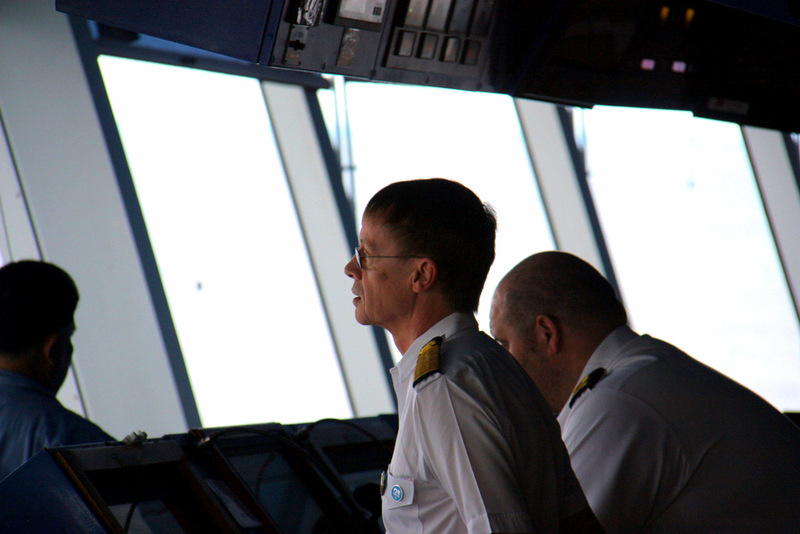 While the captain is responsible for literally everything, his primary areas of concentration are guest and ship safety, navigation, operations, and the environment. And so he puts great trust in the person who is directly charged with keeping the passengers happy: the hotel general manager. 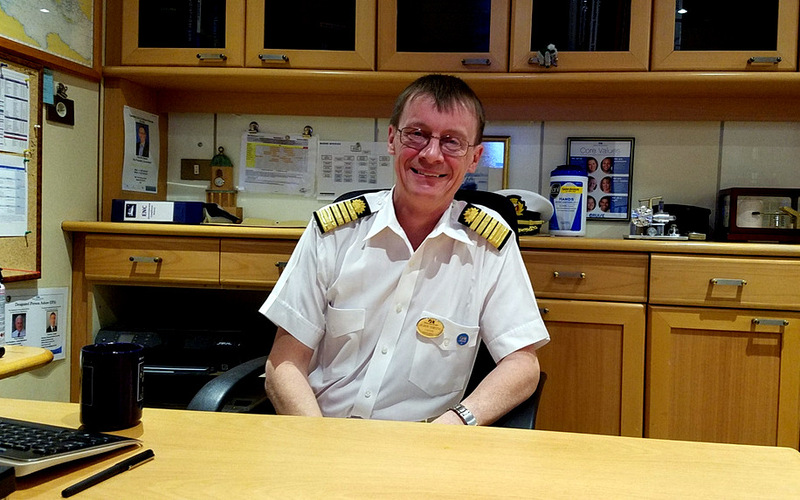 The HGM is responsible for all guest services, including dining, entertainment, and housekeeping, and aboard the Grand Princess, that's Helmut Leikauf. There’s a ratio of about two guests to one crew member on board a Princess ship. 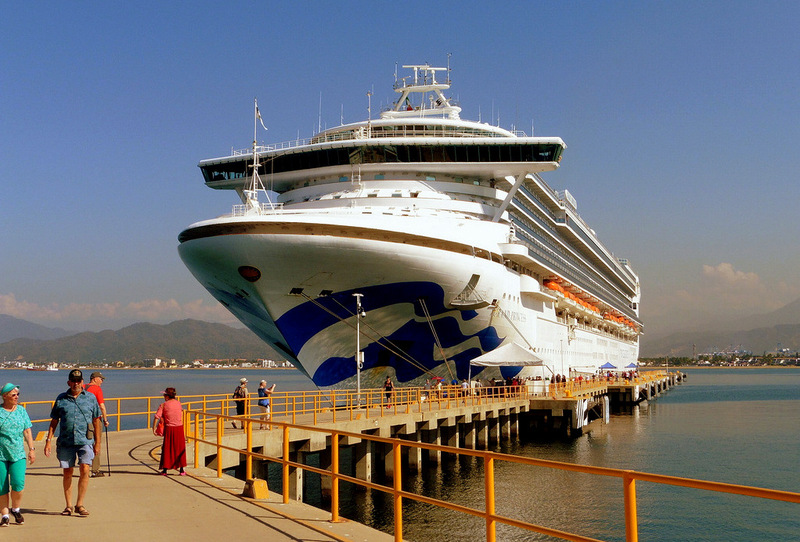 Approximately 900 of the 1,100 hundred crew aboard the Grand Princess are guest-centric and report to the hotel organization. The HGM is an important officer indeed.